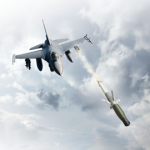 The State Department has approved a potential sale to Qatar of $300 million in Advanced Precision Kill Weapon Systems II guidance sections from BAE Systems‘ U.S. arm. Qatar seeks 5,000 APKWS II guidance systems and 10,000 MK66-4 2.75-inch rocket motors and high-explosive warheads, as well as support equipment and services under a foreign military sales deal with the U.S. government, the Defense Security Cooperation Agency said Monday. APKWS is equipped with BAE’s DASALS seeker technology located on four guidance wings designed to help the laser-guided rocket engage its target. Qatar is buying the defense materials in an effort to increase the strike capacity of its air force’s AH-64E Apache aircraft fleet, DSCA noted. The proposed sale will require the deployment of two U.S. government or contractor representatives to travel to the Middle Eastern country to provide assembly and Wing Slot Seal replacement training over a one-week period.